FRANKFURT (Reuters) - Germany's Audi (VOW3.DE) said it would invest about 22 billion euros (£18.25 billion) in new models, plants and technology in the five years through 2018. That equates to 4.4 billion euros a year, compared with 2.6 billion in the carmaker's budget of December 2011. People familiar with the matter told Reuters earlier this month that Audi planned to increase spending as the luxury carmaker steps up efforts to catch larger competitor BMW (BMW.DE). Audi, a division of Volkswagen, said in a statement on Friday that 70 percent of its planned investment was earmarked for new models and technology, and more than half of the sum would go to its German sites in Ingolstadt and Neckarsulm. Planned investments will sustain Audi's foreign expansion as the carmaker sets up factories in Mexico and China and eyes production in Brazil. Audi for the first time next year plans to build more cars outside Germany than at home. It also aims to boost vehicle sales to at least 2 million cars per year and overtake luxury-sales champion BMW by the end of the decade by expanding to 60 models from its current 49. "We had set a target of 1.5 million deliveries a year by 2015, but we already comfortably reached that target in 2013. Now we are heading for the next milestone of 2 million," Audi Chief Executive Rupert Stadler said in the statement. 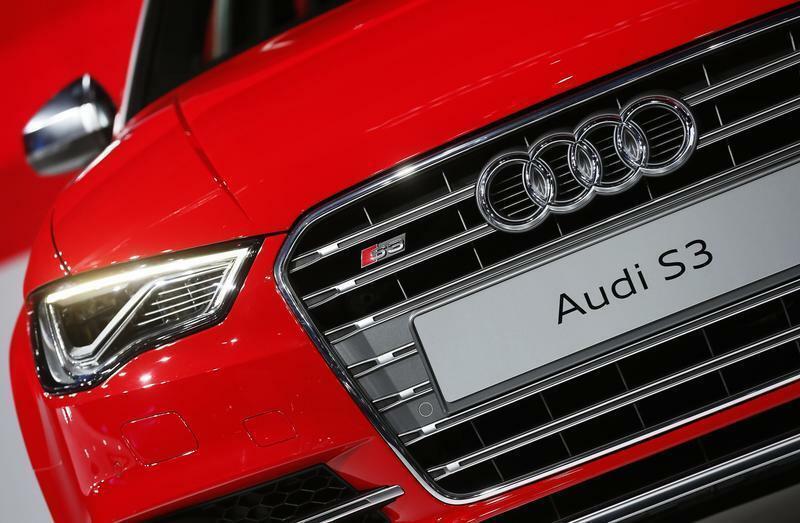 Higher spending at Audi follows an announcement by VW last month to shield vehicle-based investment from cuts in other areas, responding to sluggish auto demand. The expansion is part of VW's goal to overtake Toyota <7203.T> and General Motors (GM) as the world's No. 1 automaker no later than 2018.